Adco Van & Storage was Founded as Gold Star Motor Service in 1918, the company began by moving freight between midwestern cities. In 1956 the company name was switched to ADCO. Formerly located in Barrington, Illinois, we have been serving Chicago, and the northwest suburbs for generations. 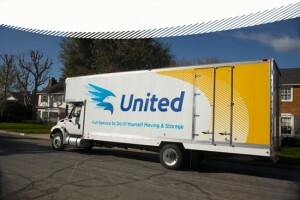 We offer custom packing, crating, local moving and storage, and interstate moving services through our affiliation with United Van Lines. Our movers are experienced in handling fine furniture, custom furniture, pianos, grandfather clocks, chandeliers and artwork of all kinds. We provide free professional in home estimates. Our equipment is modern and we blanket wrap furniture, disassemble and reassemble standard furniture and provide floor and home protection.